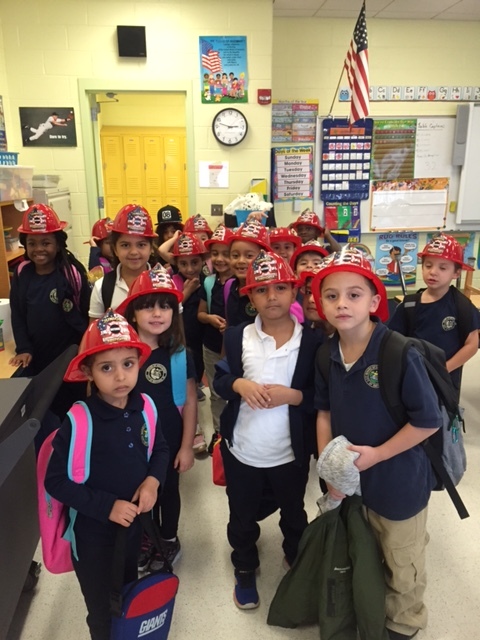 FIRE SAFETY — Woodrow Wilson School got a visit from the Fire Department. Kindergarten students in Mrs. Nolan and Mrs. Valentino’s class learned many safety rules from Fireman Mark and Fireman Ricky. They were also able to use a real fire hose! Thank-you for our safety books and firemen hats!